This volume focuses on research and advancements in the field of multi-sensor and multi-source data fusion (MSDF), and how many of the new findings contribute to improving radar technology, target tracking and automated decision-making systems in the realm of defense. Other papers discuss the application of MSDF in non-military fields, such as airport traffic control and air traffic management. It includes contributions from both academic and corporate research coming from Germany, Bulgaria, and the United States. Editorial. "Information Security and Multisensor Data Processing." Information & Security: An International Journal 2 (1999): 5-11. Shahbazian, Elisa, Louise Baril, and Jean-Rémi Duquet. "Optimization of the Multi-Source Data Fusion System for Integration on the Canadian Patrol Frigate." Information & Security: An International Journal 2 (1999): 12-22. Elliott, Linda, and Andrew Borden. "Human Intuition and Decision-making Systems (II)." Information & Security: An International Journal 2 (1999): 50-54. Vassileva, Boryana. "An Effective Doppler Filtering Using Higher-Order Statistics." Information & Security: An International Journal 2 (1999): 82-89. Semerdjiev, Emil, Ludmila Mihaylova, Tzvetan Semerdjiev, and Violeta Bogdanova. "Interacting Multiple Model Algorithms for Manoeuvring Ship Tracking Based On New Ship Models." 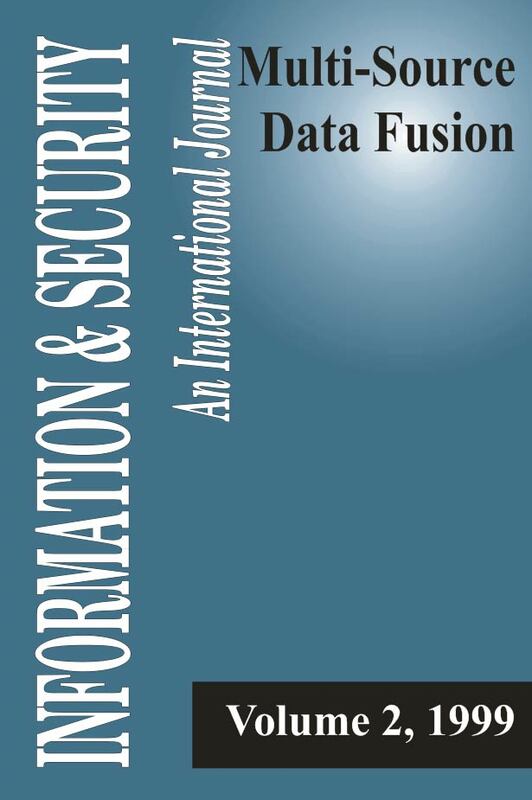 Information & Security: An International Journal 2 (1999): 122-137. Monitor, ISIJ. "Information warfare principles and operations." Information & Security: An International Journal 2 (1999): 141-157.